I recently read a book that was given to me by a dear friend of mine, on the occasion of my birthday. It is entitled A Time to Keep Silence, by Patrick Leigh Fermor . It is a travel narrative about the author’s journey to several of the great monastic houses of France, as well as to some of the rock monasteries of Cappadocia. 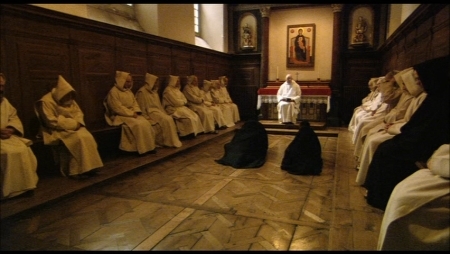 The writer, who was not Catholic, describes his experiences of first encountering the Benedictine abbey of St. Wandrille de Fontanelle in France, and how after the first few days he came to feel differently about the place; no longer did it seem forbidding and somber, but the tranquility and peace of the monastery became habitual to him, so much so that he shed tears on leaving and having to go to Paris. I mention this writer’s experience in particular, because it mirrors in some ways my own experience of monasticism. The first time I had ever been in a monastery was when, on a pilgrimage to Italy in 2005, our group visited the monastery founded by St. Benedict as Subiaco. But it was a short stay, only an afternoon, and my first real experience of a monastic house for any extended stay took place in March of 2006. It was my university’s spring break, and I took four days to visit the abbey of Our Lady of the Annunciation in Clear Creek, Oklahoma. 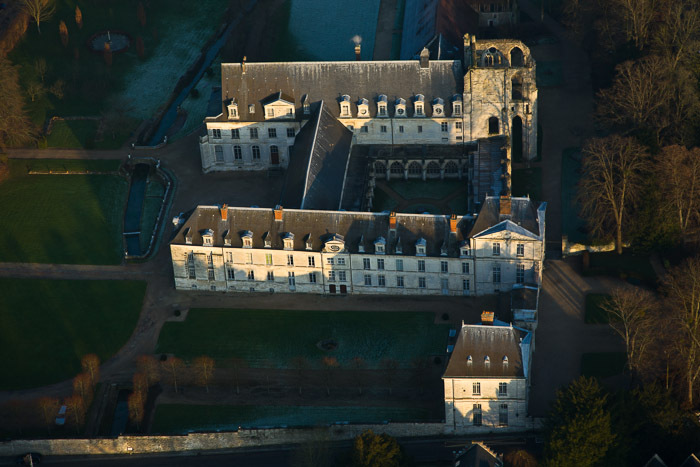 It is an amazing place; founded by monks associated with the Abbey of Fontgombault in France, the monks of Clear Creek keep to the Extraordinary form of the Roman Rite, and so it has become a place of pilgrimage for Catholics of a liturgically traditionalist bent. The first time I went there, I felt like I was entering another world, and so I was: unlike some other monastic houses, the monks there keep the full seven times of daily prayer, beginning with Matins (at 4:30am!) and ending with Compline, all in a very Francophone sounding rendition of the Latin liturgy. It was like magic. The monastery is in fact still being built; the last I recall hearing, the abbey crypt was still under construction, though the main buildings are now completed. When I was there, the monks were living in temporary quarters, and they put me to work, and I hope I can say I helped them in some small way. It was wonderful to interact with the monks, as they were all wonderfully quirky individuals. It was hardly what you would expect given the communal nature of their life, but that was what struck me most about them, how unique each of them seemed to me; the rigor of their common life must have brought out and refined these elements in them, by constraining them so much. While I was there, I fell quite naturally ionto the rounds of prayer and work , though it was not quite the same as being a monk, I have to confess; I only made it to Matins once while I was there. The monastic life, with its cyclical rhythms of prayer and work, is like an introduction to eternity, the cares and vicissitudes swallowed up by that rhythm. Being part of that life, even for a brief moment, was such a revelation to me. The fact of a sharing a common life, a common purpose, with set rhythms and patterns of living, surrounded by people who had made the same commitment; and that those who did this because they believed that Jesus Christ was the Son of God, that the message of the Church and of the whole story of redemption was true, made it all the more amazing to me. I remember feeling that, perhaps the only time since I moved out of my parents’ house, I felt like I had a secure place in the world; I felt loved, cared for, by the monks, even though it was nothing so sentimental as I am making it sound. We were just all there, together, performing our appointed tasks, in common with each other–or rather, in communion with each other, through our communion with God. When I left on the fourth day, there was snow on the ground in the woods outside the monastery. It was the first time I had ever seen the earth covered with snow in my life (I am from a warm climate originally), and it was simply breathtaking to me. I cried on the drive home, for what must have been fifteen, maybe even twenty minutes; leaving the feeling of safety, of belonging behind, was painful, and so my reaction was much the same as the writer who traveled to France when he was forced to return to Paris. I have been back to that monastery once since, but not for many years now. The last time I was there, the feeling of magic had clearly worn off, though I loved being there; the monastery had about thirty guests staying there when I was there, and so when I have gone on retreat since I have chose other, less popular houses for my stay. But no experience will ever replace that first one at Clear Creek, nor will time erase its importance for me. I still think from time to time, that I might have a vocation to the monastic life, but it is not something I think I can decide overnight. I once thought it must be a complete pipe dream, something so wondrously out of my reach, and I was only fantasizing about something that was probably beyond my strength. 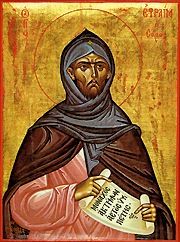 But as I have become more deeply entrenched in the Catholic faith, I realize this is mistaken; it is not my strength that counts, and many of the stories from the writings of the Desert Fathers and other early monastic writers stress how long discernment and spiritual discipline can take. So for now, I simply try to live what I learned in the monastery in the world, with all my cares and ambitions, as best as I can. And what was it I learned? Several years ago now, there was a film made about the Grand Chartreuse called Into Great Silence (Die Stille Grosse), and I recall reading an interview with the director of the film. The interviewer asked him he had learned from the monks, what had impressed him the most; he replied that it had been a privilege to have lived among people lived life completely without fear. He also told how when he asked the monks what they would do if the monastery stopped attracting members, and died out; they simply replied that if that was God’s will, then so be it (or words to that effect). He then reported that the Grand Chartreuse had so many people asking for permission to enter it (around a hundred, if memory serves) that the monks had to turn many of them away. An authentic life, centered on eternal things, on God himself, leads to such fearlessness, and it will always attract those who become weary in the world, or those who thirst for something more than the goods of this passing world can offer. But even for those who are not called to live out a monastic vocation, the example of the monks at places like Clear Creek and the Grand Chartreuse can offer those of us in the world an example of how to live as if time did not matter, such that we too may hope one day to live, as they do, without fear, in anticipation of the sweet silence of eternity. ~ by Alypius on August 3, 2014. Very good article, thank you. I try to live as simple a life as possible following the charism of St. Bruno.